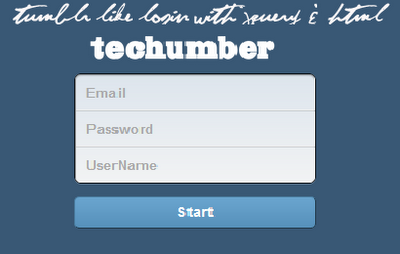 Tumbler Like Login-Signup With jQuery | Web and mobile development tutorials. Have you ever seen tumbler.com login page. It is very clean and simple one. I really liked it a lot. I wanted to create clone of it. 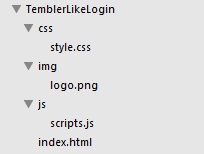 In this post let’s create tumbler like login, signup form with simple jQuery, css3 and html5 code. Take a look at demo below. Create file and folder structure as below.